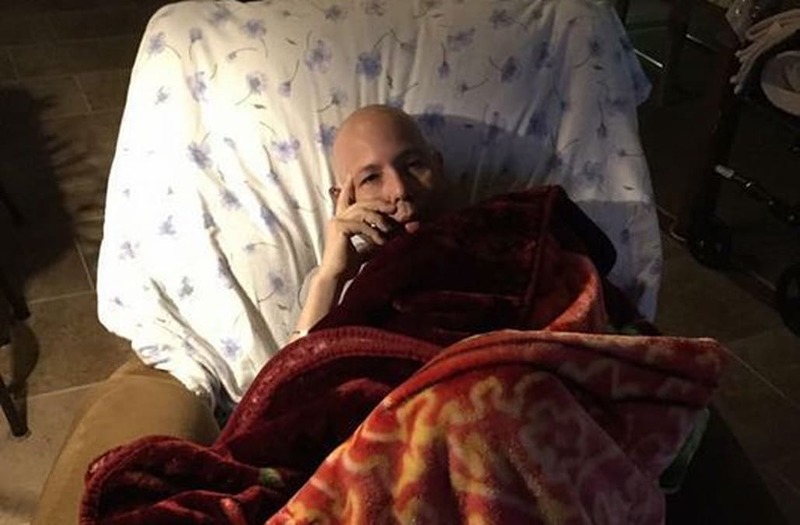 An Army veteran from New Braunfels, Texas, has a terminal illness and a unique final wish. Lee Hernandez, who is in hospice care at his Texas home, has suffered continuous strokes that affect his vision and cognitive abilities, the Arizona Republic reported. But, at this point, all doctors can do for him is make him comfortable. A terminally ill Army veteran has only 1 wish. He wants you to call or text him. Lee Hernandez @ 210.632.6778. Come on America contact him! @PoliticalShort @MrEdTrain Wonderful of you to help put a light on Helping to Honor Veteran Lee Hernandez. Earlier this week, Hernandez, who served more than 18 years in the military, including a tour in Iraq, asked his wife to let him hold his phone, "in case some one calls," according to a post on the Arizona Veterans Forum. But after several hours of no phone calls or texts, the 47-year-old veteran told his wife, "I guess no one wants to talk to me." "It broke my heart," his wife, Ernestine Hernandez, told the Arizona Republic. "(Lee's) speech is not very well, so many people didn't take much interest or want to talk with him." That is, until his wife contacted Caregivers of Wounded Warriors. And since the Arizona Veterans Forum posted Hernandez's wish on Facebook, the Army veteran's phone has been blowing up. "A lot of people call to pray with him," said his wife, who has been reading text messages and cards of support to her blind husband. "It really uplifts him." Lee Hernandez's telephone number is 210-632-6778. According to the Arizona Republic, Ernestine Hernandez said the best time to make contact with her husband is during the late afternoon or early evening, Central Daylight Time. Virginia Beach is home to several military bases like the Navy’s NAS Oceana and Training Support Center Hampton Roads, so it should come as no surprise that it is a top metro area for veterans. Virginia Beach has excellent job prospects, with low unemployment rates among veterans. While the average unemployment rate nationwide is 7.5%, Virginia Beach’s unemployment rate among veterans is a mere 5%. This should come as no surprise as 20% of its businesses are veteran-owned. There are plenty of programs in Virginia Beach tailored for veterans. Tidewater Community College has a Center for Military and Veterans Education with academic programs tailored for military and veterans. Old Dominion University provides distance-learning classes with credits given for military training and experience. Centura College provides special veteran representatives to help veterans with admissions, financial aid and to apply for veteran benefits. With veterans making up 18% of Virginia Beach’s population, there should be no lack of support for veterans. Riverside has a strong military culture. It's home to the March Joint Air Reserve Base, one of the oldest airfields operated by the military, a leading military college prep school, Riverside Military Academy, and to a VA National Cemetery. Riverside is also one of the most affordable large cities, with the lowest median household spending per month of all the large Californian cities. University of California Riverside and the Riverside Community College district provides their veteran students with priority enrollment into classes as part of the Department of Veterans Affairs educational benefits. The Loma Linda Healthcare system, which provides health care to veterans in southern California, is only 15 minutes away. With a veteran population of 8%, Riverside provides a thriving military culture. San Diego may surprise you by appearing so high on this list, but don’t let its beach culture fool you. San Diego is a military town, with the only major submarine and shipbuilding yards on the West Coast, and hosts the largest naval fleet in the world. San Diego is currently seeing a growth in its biotech and health care industries, with a fairly high growth in job rates from 2012 to 2013. San Diego also has a large population of vets, with almost 20,000 in the metropolitan area, and almost 14% of San Diego’s businesses are run by vets. Major schools in the area like San Diego State University, San Diego Miramar College, San Diego Mesa College and the University of San Diego have Veteran Centers to provide support for veterans returning to school. University of California San Diego hosts the VA hospital for the San Diego area. One of the largest Air Force bases, Nellis Air Force Base, is located about 7 miles away from Las Vegas. It’s no wonder Sin City sees so many veterans move there. Las Vegas is very affordable, amongst the top 5 most affordable large cities in America. Additionally, there is a high population of veterans living there -- almost 10% of the population consists of veterans, and nearly 15% of businesses are veteran-owned. There are many local resources available to veterans, including the Southern Nevada Healthcare System, with a VA Hospital located in North Las Vegas. The University of Nevada, Las Vegas, provides many resources for veterans looking to get an education in their Office of Veteran Services, which is staffed with veterans the GI Bill experience staff. There is also a Student Veterans & Military Family Services Committee dedicated to providing a veteran-friendly campus, including veteran benefits help, a disability resource center, psychological services and community resources. Additionally, the College of Southern Nevada provides a veteran’s educational center to help process veteran benefits and work with the Department of Veterans Affairs. The Naval Air Station Fort Worth JRB is stationed just 5 miles away from the Fort Worth downtown, and its military presence can be felt throughout the metropolis. Dallas-Fort Worth has a low unemployment rate for veterans at only 6.3% and high job growth. While the veteran population is not has high as some other cities, at only 8%, a significant proportion own businesses, with veterans owning nearly 14% of all businesses in the region. The VA North Texas Health Care System serves Dallas-Fort Worth, and there is a location right in Dallas proper. Dallas-Fort Worth’s higher education institutions are friendly and flexible towards military veterans. University of Texas Dallas offers academic course credit for military veterans who enroll. The University of Dallas has a Veteran Representative that assists the veteran in obtaining military benefits and financial aid. Columbia College in Fort Worth is especially geared toward veterans, offering transfer credit for CCAF, SMART and other military training as well as providing Veterans Administration approved courses of study. Jacksonville is defined as a port area, with the Port of Jacksonville, the third largest seaport in Florida, and two Naval bases. With the third largest naval presence in the country, behind Virginia Beach and San Diego, Jacksonville provides a great atmosphere for retiring military personnel. Fourteen percent of Jacksonville’s population consists of veterans, and they own 17% of all businesses in Jacksonville. Jacksonville University helps veterans reintegrate as a member of the Post 9/11 GI Bill and the Yellow Ribbon Program. Florida State College has a separate financial aid program for veterans. Richmond is known for its long history in law and finance, as the home of one of the 13 U.S. courts and appeals and of one of the 12 Federal Reserve Banks. However, Richmond is also home to many veterans, who make up 9.4% of the population. Richmond boasts a low unemployment rate, at 7.4% and an even lower unemployment rate amongst veterans at 4.9%. There is economic opportunity available for veterans, who own almost 17% of Richmond’s businesses. With resources like the Hunter Holmes McGuire VA Medical Center near downtown, veterans in Richmond can find all the help they need. Richmond’s schools provide excellent assistance to veterans. The University of Richmond is part of the Yellow Ribbon Program that provides a maximum of $5,000 each school year that is matched by the Department of Veteran Affairs. J. Sargeant Reynolds Community College guides veteran students through obtaining educational benefits. Virginia Commonwealth University offers a Green Zone Program that helps veterans transition back into student life. Memphis is in a great centralized location straddling the Midwest and the East Coast. With Fortune 500 companies like FedEx, AutoZone and International Paper settling their headquarters there, it’s easy to see why veterans head to Memphis. Veterans make up almost 10% of the population, but own over 16% of all businesses here. They also boast a lower unemployment rate than the general population. Clearly, Memphis has the environment for veterans to succeed, including a world-class VA Medical Center right in downtown. The University of Memphis offers a slew of services for its veteran student population, from adult commuter services to child care and psychological counseling. The Southwest Tennessee Community College provies a specialized Veterans Affairs (VA) that provides counseling and outreach to assist veterans in acclimating back to civilian life. Tucson’s economy is dominated by the Davis-Monthan Air Force Base and For Huachuca, a U.S. Army Intelligence Center, which has led to rise in high-tech industries mainly government contractors. With this sort of economic environment, it’s no wonder Tucson is highly rated as a metropolitan for veterans. It has a fairly low rate of unemployment amongst veterans at only 6.5% and boasts a fairly affordable rate of living. With a whopping 17.2% of all businesses owned by veterans, and a population of nearly 13% veterans, it’s clear that Tucson has amazing resources, including a VA hospital right near downtown. The University of Arizona, the largest university in the region, really strives to serve this population. The University of Arizona has a Students Vet Center staffed by trained student veterans to help student veterans. Additionally, UA provides a UA Live & Work Connections committed to helping employees that are veterans to provide short-term counseling and transitions back into civilian workforce. Pima Community College provides small perks for its veteran students like separate Veterans Center for veterans to study and relax as well as bookstore vouchers for veterans. Albuquerque, home to the Kirtland Air Force Base, comes in at fifth on our list due to its great job market. Albuquerque’s unemployment is one of the lowest on our list, at just 7.4%, and it’s even lower for veterans, at 5.2%. While veterans only make up 12.1% of the population, they make up 16.9% of the businesses in Albuquerque. With this great support network, a VA Health Care System centered right in Albuquerque and, of course, great weather, its no wonder veterans flock to Albuquerque to settle after their military career. The many educational facilities in Albuquerque strive to accommodate this population. The University of New Mexico offers a Veterans Resource Center staffed by veterans to help out veterans thinking of returning or starting school. The Central New Mexico Community College has a Vocation Rehabilitation Program designed specifically for veterans with disabilities to return to the workforce.